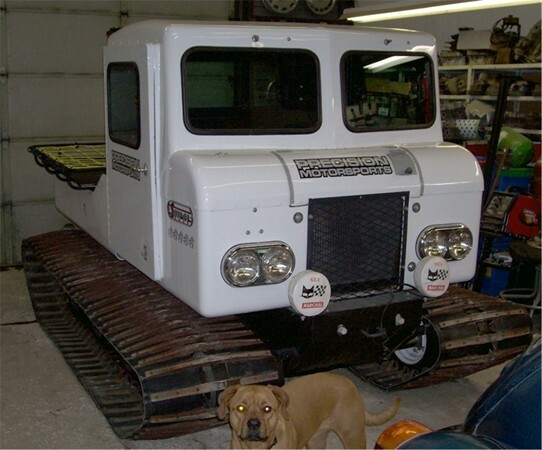 Other notes - This appears to be a very rare snowcat build in Canada. It has a fiberglass body, Ford industrial V4 engine, 4 speed VW transmission, and brake band steering. If you know anything about these vehicles, please contact us.